Can tickets be picked up at the dock? Is there a will call? No. Tickets are mailed out after June 1 via USPS. You must have your ticket to board the boat. Please keep your tickets in a safe place. If you lose or forget your tickets, you will need to purchase new tickets (if available). 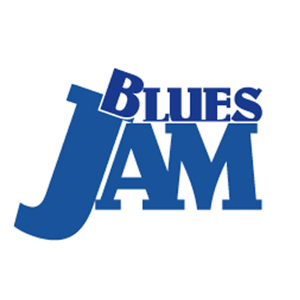 The CBS Blues Cruise tickets are non-refundable and not transferable. 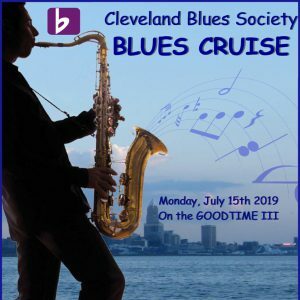 If for any reason the GoodTime III cancels the CBS Blues Cruise, CBS will work with the GoodTime III to reschedule for another day. Where does the ship go during cruises? What if it rains? Please allow yourself extra time for traffic, parking, and special events in the downtown area when you are planning your GOODTIME III outing. The vessel will not return to dock for latecomers and cannot interrupt the departure process once the boarding ramp has been removed, so you must be in line or on-board at the departure time for your cruise. We set sail at 7:30pm sharp. It is very important that the ship leaves the dock on time due to the nature of the bridges in the river and our trip schedule. The GOODTIME III boards by an adjustable boarding ramp, featuring an incline and a decline, which varies based on Lake Erie water levels. This ramp is 36” to 36 ¾” wide and can accommodate most standard size wheelchairs, walkers, and mobility scooters. Wheelchairs and mobility scooters are permitted no further than the first deck. The Main Deck restrooms and gangway are ADA compliant. They do not have wheelchairs to provide to passengers. There is no elevator on-board. Please call 216-861-5110 if you have any questions or concerns regarding their accessibility. What kind of food is offered on-board? Is there a Bar? Do they accept credit cards?